It’s important to note that they used the term “cinematic”, which means that the visuals in the video are simply a representation of what to expect, and are not a part of the actual party. 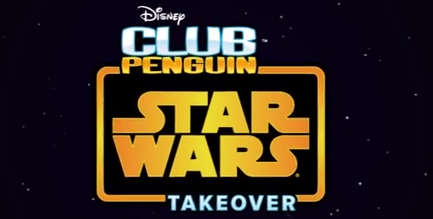 In addition, Club Penguin is not 3D, so don’t let the trailer fool you! It’s currently unclear when this party will debut on the Island, but sources familiar with the matter have stated that the party will take place sometime in July. Since Monsters University is currently visible on the Island, I am willing to bet that the Star Wars Party will take place during the last week of July. What do you think of the upcoming party? This entry was posted in Parties on July 4, 2013 by admin.